Garry H. Kollbaum, age 72, of Mount Vernon, MO, formerly of Moville, passed away on Saturday, January 19, 2019 at the Barnes-Jewish Hospital of Saint Louis, MO. A funeral service will be held on Saturday, January 26, 2019 at 10:30 AM at the Nicklas D. Jensen Funeral Home of Moville with the Rev. Karen A. Handke officiating. Burial will be at a later date. A visitation will be held on Friday, January 25, 2019 from 4:00 PM - 8:00 PM at the the Nicklas D. Jensen Funeral Home of Moville. Garry was united in marriage to Susan Hofstatter on May 24, 1969 at St. John’s Lutheran Church in Climbing Hill. To this union two sons were born, Tim and Dan. During his career Gary had many different jobs and was an entrepreneur since the age of 27. He was the “jack of all trades” who always wanted to keep busy. He started out working for Kenny Bunnell in Anthon at the end of high school and while in the guard. After he returned from the service he helped his dad farm. Then he worked at North American Manufacturing in every department and worked his way up to inspector. Garry also worked at Palmer Candy. In 1974 he bought the motel in Moville and owned and operated the motel and laundry mat for 27 years. He also owned and operated East Side Acres from 1976-2015 and managed two mini storage units. He owned and operated the car wash for several years and drove the minivan and handicap school bus for seven years. He worked for Gary Brown doing carpentry, installed cable for two years, had a vending machine route and was a gravedigger for ten years at Arlington Cemetery. He moved snow for several businesses in Moville and unloaded groceries at Chet’s Foods every Friday. He did all of these things side by side with his wife Susan, who he idolized, as well as with Billy, who was his right hand man for over 30 years. Garry was a member of the Moville City Council for 12 years. He was a collector of John Deere Toys and Pedal Tractors, M & M and Coca-Cola memorabilia, and many others. He enjoyed restoring and joining parades with the pedal tractors that he and Tim restored. Through the years he restored many antique cars as well. He enjoyed mowing his lawns and working with the backhoe. Garry was known as a convenient store “junky.” Family was the most important thing in the world to him. He enjoyed hunting with his boys and having coffee with all of their friends in Mt. Vernon. He will be remembered for his contagious laugh and being full of love and life. 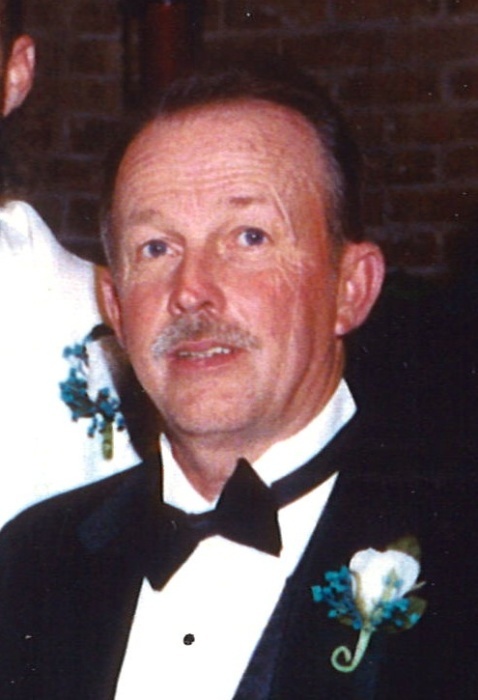 He is survived by his wife, Susan; two sons, Tim (Dana) Kollbaum of Turin, IA, Dan (Amy) Kollbaum of Springfield, MO; grandchildren, Tyler, Taylor (Jadin) and Dylan; sister, LaDonna (Bob) Downing of Omaha, NE; brother, Roger (Pat) Kollbuam of Storm Lake, IA, twin brother, Larry (Alice) Kollbaum of Anthon, IA; sister-in-law, Charlene Kollbaum of Sergeant Bluff, IA; and many nieces, nephews and friends. Garry was preceded in death by his parents and brother LaVern.